Cassville Mercy co-workers collected 1,059.5 pounds of food this year during their annual summer food drive. The hospital matched the donation, giving $0.20 per pound of food collected by the employees. 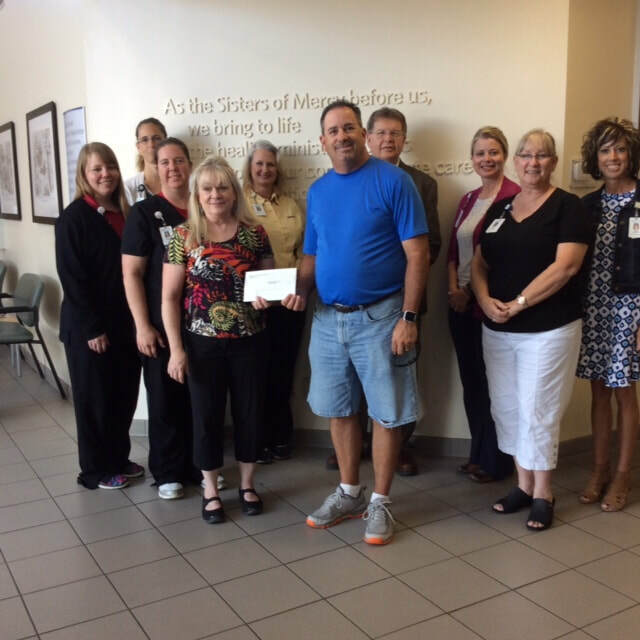 Mercy donated $211.90 and presented a check to the Cassville United Methodist Church’s food pantry on September 26. Pictured above, from right to left: Savannah Williams, Erica Hilburn, Stephanie Clymer, Janet Mills, Teresa Beach, Andy Lambel, Doug Stroemel, Nicki Gamet, Maggie Huffington and Emily Jackson.